Stephen Shore became one of the most important photographers of our time by photographing everyday objects like swimming pools, street signs, shop windows or food. Sounds familiar? Read on for the 10 things we can learn from him about our own photography. Stephen Shore is one of the most iconic American photographers of our time. Born in New York City in 1947, he started photographing at an early age and, after undertaking a roadtrip through the US at age 25, dove into color photography. His work not only proved that beauty can be created out of seemingly mundane scenes and objects, but also that color photographs can be considered as fine art, which, until the 1970s, was reserved for B&W photography only. Shore influenced a whole generation of photographers such as Nan Goldin, Andreas Gursky, Martin Parr, Joel Sternfeld, and Thomas Struth. You can find out more about him on his website. More than anybody else, Stephen Shore proves that you don’t have to travel far to capture something special. It’s right here, where you are, waiting to be put into a picture. Colors are not just “there,” they are compositional elements just like lines, geometry or framing. Look out for interesting patterns and see how your photographs will change. Don’t restrict yourself to just one format: different formats enable you distinctive ways of seeing. Shore switched formats often for various projects that he worked on, sometimes using heavy large format cameras and sometimes handheld 35mm snapshot cameras. Some of Shore’s most iconic photographs came from a 1972 road trip from NYC to Texas. He just took a car and drove through the country, capturing whatever inspired him: from strangers at truck stops to women’s hats in a shop window. While in recent years selfies have taken on a whole new character, including parts of yourself in a picture adds a very personal touch to it. Just go beyond the odd “me in the mirror” snap and rather explore different perspectives on documenting yourself and your life. Shore’s photographs wouldn’t have the same power if he didn’t observe his surroundings closely. Walk around, look and listen to understand where you are – then shoot. Looking at Stephen Shore’s images as large high quality prints is an eye-opening experience. Print out your own images in a large format and you’ll see what really works. This may seem self-evident, but taking photos of your daily life and the things that inspire you creates a beautifully rich history of your unique life. Don’t be afraid to capture the mundane; looking at it later often reveals narratives you weren’t aware of before. Stephen Shore was, and still is, highly controversial. Many don’t see anything special in his photographs. But despite the criticism, he kept on doing what he did – and eventually became one of the most important photographers of our time who inspired a whole new generation. The best photographs happen when you aren’t prepared. Be always ready. 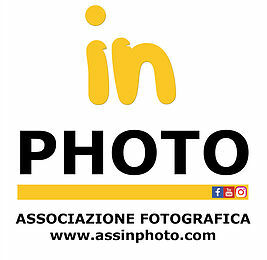 ← Lettera di Stephen Shore ad un suo studente! Bellissima! questo è davvero interessante. suggerimenti che nella loro semplicità, che non è banale, arrivano al punto profondo. mi piace! Pingback: Lewis Baltz, minimalismo in bianco e nero. Da conoscere. | MU.SA.